I will soon have a short 2 page exhibited and published in a magazine for Adventures in Comics. 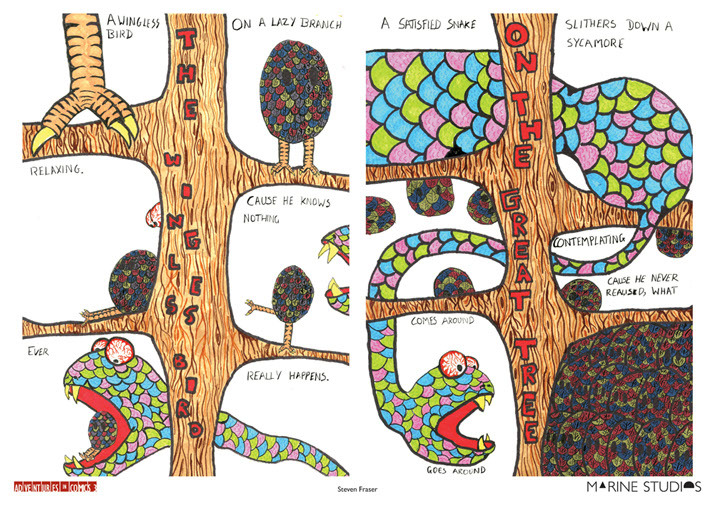 The theme was on ‘The Great Tree’ and my story can be viewed at the Adventures in Comics website and also below. I took inspiration from poetry and may add this to my poetry web comic. The exhibition is in Margate at the Pie Factory – 5 Broad Street – CT9 1EU. It runs from 21-24 February.